It is always an amazing sight to see birds flying back to their home. When you go away from your home town, the visit back is always the one you look forward to. I always do :) Home is where we find closer to happiness. For my Mom, Aunt and Uncles, Kundah, a sleepy town in the hills of Nilgiris is home. I have visited the place countless times, so have my brother and cousins. There is something about Kundah that makes me feel inherently happy. May be it is the mountains or the pristine air or the very welcoming people of the hills. 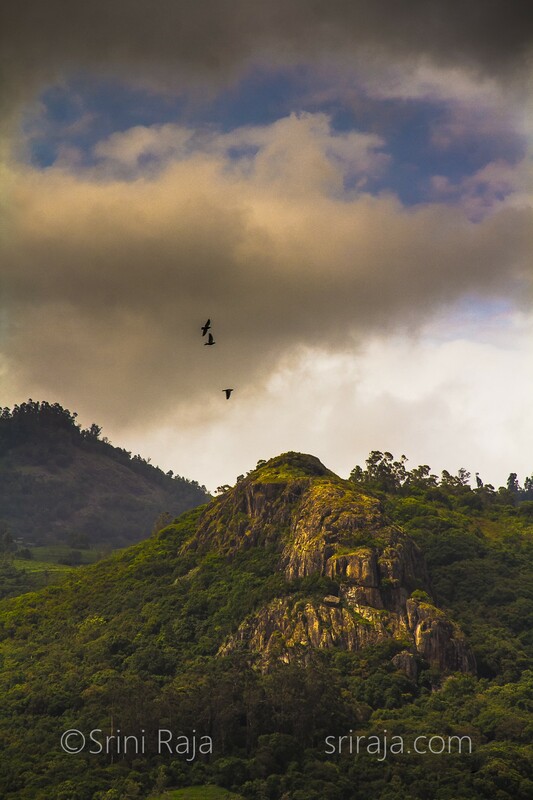 In fact during my childhood, we almost used to have an annual ritual of visiting Nilgiris and staying at Kundah. For the past decade, I haven’t gone there much and I was lucky to visit the place last year. Kundah as far as I remember hasn’t changed much. Yes, there is the penetration of satellite TV and cellphones but the town still maintains its charm with beautiful hills and valleys. There are more tea estates than before which means you get amazing tea near by. But that also means loss of habitat for animals and birds.